was born March 1, 1955 in Kokura, Fukuoka prefecture, Japan. 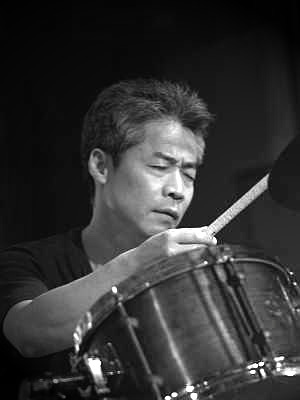 His first drumming experience was at the age of four, when he played a traditional Japanese drum at the Kokura Festival. He began playing the western drum set at 15. It was around this time that he also started listening to jazz and studying the drumming of jazz masters such as Max Roach, Art Blakey and “Philly” Joe Jones. lt’s difficult to begin at the beginning and to resist the temptation to go back even further. 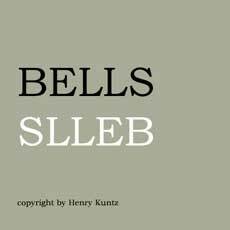 So: I heard William Parker and Shoji Hano with Peter Brötzmann for the first time in 1988 at the FMP Festival in Berlin. I admit I feIl asleep, because l had just traveled non-stop from Graubünden to Berlin; despite 900 kilometers’ worth of Intercity coffee and Radebergers, I was really just an unconscious body taking up space. In 1990, there was this untogether gig at the Rote Fabrik in Zürich with Cecil Taylor, Gunter Hampel, Tony Oxley and William Parker. “Was it controversial?” William wanted to know a year later, as we barreled down the autobahn together in Brötzmann’s März-Combo band bus. In autumn 1995, It so happened that William and Hano were traveling around Europe independently. The idea came to me in a flash and yes, both of them had the time and the desire to do a few concerts with me in Switzerland. Malans-Manhattan-Tokyo was the global tag. And so we three rambunctious musicians were off, and we got a warm reception everywhere. Only in Chur, on my own turf, did I have to organize the concert myself. We played for the door, and many of the listeners waited at the entrance until the break or until the cash register was cleared away. I’m pretty thin-skinned writing about this, obviously. There were about eight concerts, each one like living on the crest of a wave. In “Kreuz” Nidau, Hans Koch and Nartin Schütz added to the frenzy. Afterwards, we went to the Zürich Radio studio to record our “Crossing the Boundaries of Affection”. Wrong. 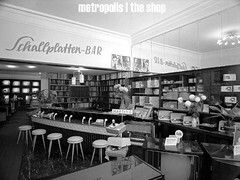 The truth is that we went right into the studio after we met at the Zürich train station: we made the half-hour long piece of music on this CD without ever having played with each other before. A clear case of “serendipity”–a word created by Horace Walpole (1754) after the Three Princes of Serendip, who had a talent for chancing upon fortunate, unexpected discoveries on their journeys. Thank you William! Domo arigato, Hano-san! After the small tour in Switzerland, Hano invites me to do an eight-concert, six-city tour in Japan. And I encounter a society where achieving communality by renouncing conflict is a recipe for living. 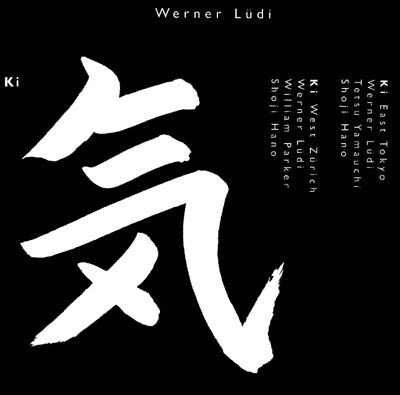 The third concert in Tokyo, (excerpted on this CD), is at the Shinjuku Pit Inn and is announced as “Werner Lüdi Night”. Hano had invited Tetsu Yamauchi. Tetsu speaks a singing Cockney English–he lived in London for several years, went through wild times with Ginger Baker. Even today, at fifty, he still is a passionate sake drinker. Hano is the opposite, doesn’t smoke or drink. I watch him as he mentally prepares for the concert in the tiny dressing room. Headstand, stretching exercises, breath and attack techniques. He bandages up his forearms, puts on ricestraw sandals and a richly-embroidered vest, a headband. Hano wants to start with a duo. Hano and I stand across from each other; like a sumo wrestler he conjures up space with wide-reaching hand movements, snorting bursts of breath, a piercing scream–there’s a first hit on the drum, a roar from my baritone depths, and beat by beat the Shinkansen, Japan’s buIlet on rails, begins to move. The first set lasts about 70 minutes, a 20 minute break, two cups of green tea; then the second set, no less turbulent, takes off. Hano changes his T-shirt every 15 minutes. At times he’s beside himself, his eyes bulge out, he bends and writhes and shrieks his lungs out. Tetsu, very drunk, lays a frenzied bassline through the typhoon, Hano pounds his drums as if he wants to unleash a seaquake. The lightning strikes, so suddenly piercing, and before there’s time for a second thought, comes the thunder of the shock wave. “lt’s amazing that we’re still alive”, I think. The 60 people in the club are going wild, some of them have danced through both sets. I’m flabbergasted. So that’s how lnsecurity is simultaneously allayed and stirred up again with l7 syllables. 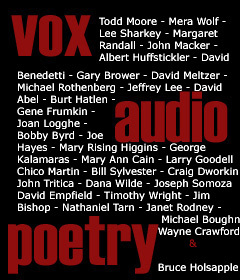 Hano: “A good haiku contains a million associations. Every person must interpret it for themselves–with the heart. For you (Westerners) it’s about reason, with us it’s more the feeling.” And his features assemble themselves into that multi-purpose smile that l would come to know well sitting during the next two weeks. The sky over Tokyo is the color of a TV screen tuned to a dead channel. We’re around in our hotel room in Akasaka, a quiet, almost tranquil neighborhood. I would like to know what my Japanese musician friends think of the music scene in their country. “To simplify it somewhat”, Tetsu begins, “in Japan, we have two directions–besides all the plastic crap that exists all over the world. First there is New Wave. Actually a ‘high-tech’ romanticism, that stands for sexual liberation, natural foods, bucolic tendencies, personal empowerment, cultural pluralism and stylistic experimentation. The New Wave doubts, of course, that the rise in science and technology contributes to the betterment of the human condition.